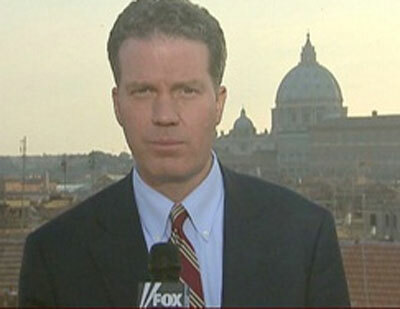 Perhaps, the first step that will revolutionize the world of Vatican communications is the appointment of Greg Burke, the 52 years old journalist coming from Fox News TV, as media advisor of the Secretariat of State. Greg Burke’s post is unprecedented in the Vatican. The Curia does not even have a media coordinator for the dicasteries. The Curia relates with media through the Holy See Press Office, which reports directly to the Vatican Secretariat of State. Some dicasteries have assigned people to interface with the media, but media relations is always part of a bigger portfolio, and those tasked with this responsibility are rarely professional journalists. Greg Burke is an Opus Dei numerary. Even if his career was not carried out under the Opus Dei umbrella, it is also true that Opus Dei has always been very attentive to institutional communications. For a long time, the director of the Holy See Press Office was Joaquin Navarro Valls, an Opus Dei numerary. And, thanks to Navarro Valls’ presence and experience, Opus Dei soon realized that teaching institutional communications to the Church is a must nowadays. The only dissertation paper about the vaticanisti – the journalists specialized in covering the Vatican – came out from the Holy Cross Pontifical University, the Opus Dei University in Rome. And so it was almost logic – even given the good relationships between Georg Gaenswein, secretary of the Pope, and Opus Dei, whose university had Gaenswein as a teacher – to look to Opus Dei to find a solution for the «communication crisis» of the Holy See. 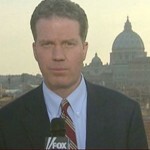 It is not by lobbying, but by necessity that Greg Burke, who recently became an Italian citizen and whose native language is English – a much needed value added, since aggressive articles on the Church are often written in English – has been identified as the right person to become the media advisor of the Vatican Secretariat of State. That something has changed in the Holy See communication strategy is evident. Often, Benedict XVI has personally taken the lead in addressing a situation. We just need to look at how the Vatileaks case was managed, the week following the arrest of Paolo Gabriele, the Pope’s Butler. The statements marking a clear change in the Holy See’s communication strategy followed each other in a crescendo: first, on Tuesday, May 29 morning, Federico Lombardi, director of the Holy See Press Office, asked journalists not to allow themselves to be manipulated, since many of the stories that had been published in the newspapers fell «outside reality»; on Tuesday, May 29 afternoon, Angelo Becciu – substitute (deputy) to the Secretary of State – gave an interview to the Holy See newspaper L’Osservatore Romano, asking journalists to reach «a higher moral standard», and criticizing partisan narratives of events; finally, on Wednesday, May 30 morning, for the first time, the Pope talked openly and clearly about the Vatileaks scandal, renewing his trust on his closest collaborators. It was not the only change. After Paolo Gabriele’s arrest, Lombardi gave a press briefing almost daily, providing updates and setting the record straight on false stories circulating in the media. And there was more. After the IOR (the Vatican’s financial body) board of Superintendence’s no confidence vote on the board’s president, Ettore Gotti Tedeschi, the memorandum of the meeting when the vote took place was “institutionally” leaked to the press. The IOR has maintained, for some time now, an open door policy, allowing an inside look of its work. Not long ago, a group of ambassadors accredited to the Holy See were invited to a briefing in the Torrione Niccolò V – the IOR’s headquarters – where Paolo Cipriani, general manager, talked about transparency and the activities of the Institute. Last week, it was the turn for a selected group journalists. Standing before them, Cipriani not only outlined the activities of the Institute, but also gave an in-depth explanation about the seizure of 23 million euro transferred by the IOR from an IOR account to Credito Artigiano in 2009 and to the closing of an IOR account in a JP Morgan branch in Milan in 2012. Cipriani also denied there was a lack of cooperation with the Italian authorities, showing a letter of the Italian police where they thanked the IOR for the speed and precision of responses to their questions – Mondayvatican had already reported about this letter some postings ago. Even though many inside and outside the Vatican are contemptuous, Benedict XVI is moving on his path toward transparency. This Pope was not afraid to write an open letter to the bishops in the midst of the Williamson affair; to write a letter to the Catholics of Ireland in the midst of the pedophilia scandal; to personally meet the victims of priest abuses, whenever he went to visit a country where there were victims who asked for a meeting; and to start a purification process within the Church that is perhaps poorly explained, though it is true and alive. Here, the contrast with the “Communication machine” of Joaquin Navarro Valls is most evident. In his more than twenty years as the head of the press office, Navarro proved himself to be much more than a simple means of communication. He was a spin doctor, an editor, a PR man, an investigator, an advisor, a diplomat and an ambassador for the pope. Is yet to be seen if Greg Burke will be able to have Navarro Valls’ relation with, and influence over, the Papal apartment. Surely, working within the Secretariat of State, he will be closer to the power center, and he will should be in a good position to elaborate communication strategies. Will he be in charge of an information office of the Secretariat of State or will he just be an official inside the Apostolic Palace? And what will be the future of the Holy See Press Office? Will the appointment of Greg Burke change its role? Some insiders predict that the Holy See Press Office will become a sort of “base”, to put into effect Burke’s strategies. The next step could be to link the Press Office to the Pontifical Council of Social Communication. This would lead to more strict accreditation norms and to a new role for the director of the Press Office: the role of a simple spokesperson. Though his appointment has still not been officially announced (and it will probably not be, since it is just the hiring of an employee joining the Curia), Burke has already given some interviews about his new charge. Burke wants first of all to listen, think and understand what has failed in Vatican communications. From the Regensburg speech to the Vatileaks, passing through the Williamson affair and the annus horribilis (horrible year) of the pedophilia scandals (it was 2010), the institutional communications of the Holy See was always playing catch-up with the news. Now, they want to address the stories as they hit the news. Lombardi did not succeed in keeping apace with the news, in part because he lacked the privileged relationship his predecessor had with the Papal apartment. It will surely be a hard challenge. Greg Burke loves to compare his post with that of the «media advisor» of the White House. The Holy See, however, is not the White House, and the Apostolic Palace is not the West Wing. There is a very different storyline to tell, deeply anchored in a Church that is 2000 years old. A Church that still seems unable to communicate everything that it stands for and does. For example, the most interesting part of the journalists’ visit to the IOR was when the general manager, Cipriani, spoke about his trips to personally see “the works of religion” all over the world: «I recently went to Peru – he said – and I found priests that were taking care of people in shanty towns made of mud. The Church does wonderful things all over the world, and to see what the Institute funds help to achieve gave me a better sense of my own job». This part of the story was not covered in the media. That is why Greg Burke’s has such a formidable challenge before him.